There are loads of award-winning, intoxicating perfumes on the market, but who wants to smell like everyone else? Imagine a one-of-a-kind fragrance that has been designed based on your favorite scents and body chemistry. Suddenly that off-the-shelf perfume doesn’t seem as appealing. The only downside with bespoke scents is that they come with a high price tag. Don’t give up just yet because fragrance cocktailing is the clever compromise that allows us to get a customized perfume without the hefty price tag. 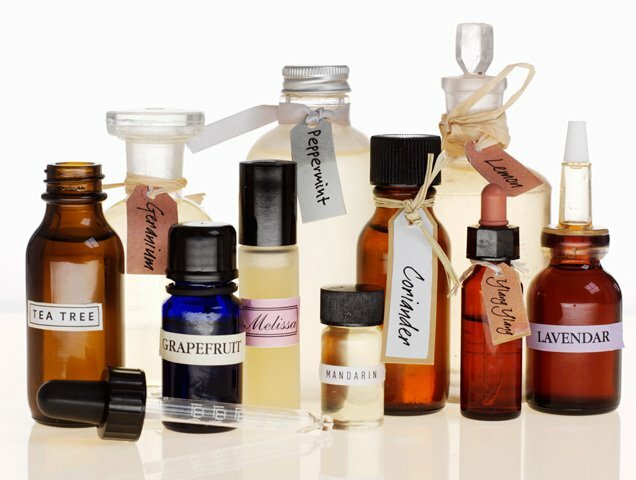 Fragrance cocktailing involves mixing different ready-made perfumes together to come up with a unique scent. It’s a simple concept that presents loads of possibilities. As with anything experimental, it involves some trial and error, which can sometimes lead to less-than-perfect results. So, we asked the experts how to layer perfume like a pro. Patti Kapla from Fragrance.com reveals that single note or very basic fragrances are easiest to start out with. Fragrance cocktailing newbies can even pick up different fragrance kits that are designed to be worn together, such as the Mixologie Blendable Perfume Collection ($99) or the Commodity Cocktail Kit ($26). Knowing fragrance categories (floral, woody, citrus, oriental, gourmand, etc.) makes it easier to layer perfume. Kapla explains that a general rule of thumb is to mix scents that are in the same family or in complementary ones. When mixing fragrances in one category, such as citrus, consider the notes in each perfume and try blending different pairings. For example, a light citrus with notes of lemon and bergamot paired with a darker citrus containing things like blood orange, dark plum and yuzu is a good mix, says Steve Johnson, scent sommelier for Scentbird. Once you’ve mastered working with similar fragrance categories, Jeong and Wong recommend branching out across families. They suggest adding a little twist to a favorite fragrance. For instance, give a floral scent an update by adding some spice or wood notes. There’s no need to only mix colognes with colognes and eau de toilettes with eau de toilettes. All our experts agree that it’s OK to mix and match EDTs, EDPs, colognes and body sprays. When layering different ones, Jeong and Wong say it’s best to remember that lower concentration fragrances, like EDTs, usually disappear faster so that can impact the final result. Rubbing wrists together is a big no-no because it “strips” the fragrance of its top notes. Jeong and Wong liken it to smearing a beautiful painting. (Whoops.) For perfume layering, spray the scents on top of each other and let them intermingle for the best results. Think about perfume like fashion. When it comes to something complex, it’s best to pair it with something simple. Johnson recommends tempering more intense scents with light floral notes, such as linden blossoms, lilies and lily of the valley. Fragrance cocktailing can go beyond layering two scents on top of each other. Kapla says that it can be started in the shower with a scented body wash. Adding body creams or oils can also produce interesting results. Different placements of scents can also result in something unique. Kapla gives the example of applying one scent to wrists and another to the neck.